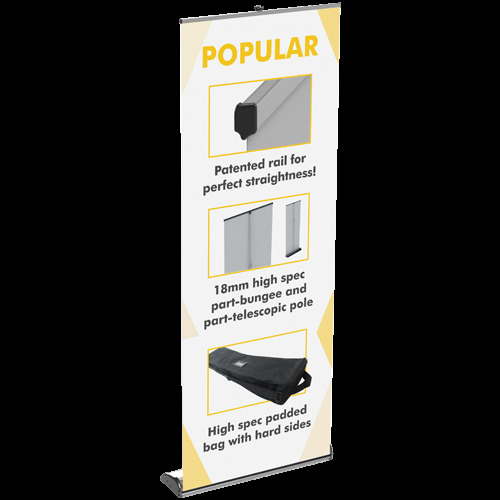 A range of quality banners stands to suit every budget all complete with a high quality latex printed graphic which won't scratch or fade so will always look sensational. 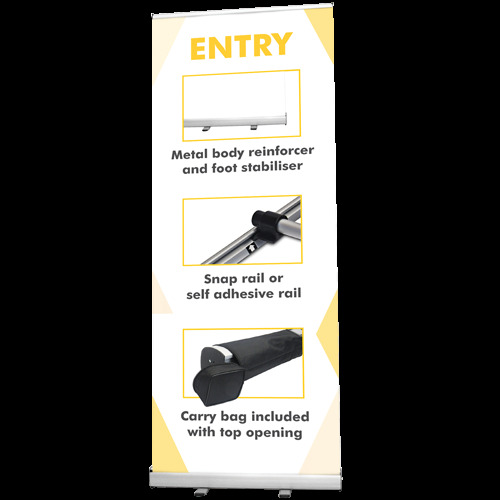 The 'Entry' Roller Banner offers a decent mechanism and printed graphic for those with a lower budget and is suitable for occasional use. 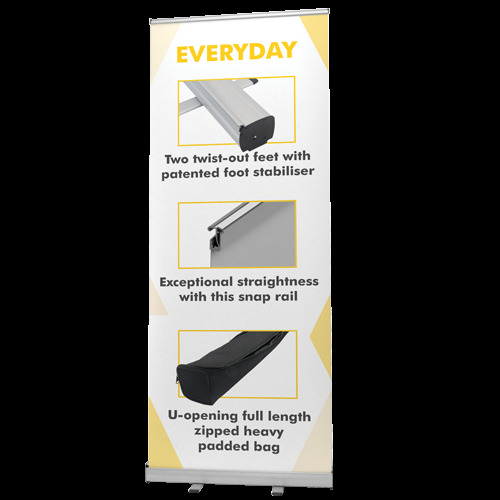 The 'Everyday' Roller Banner offers a guaranteed 'regular use' quality mechanism and printed graphic at price everyone can afford. 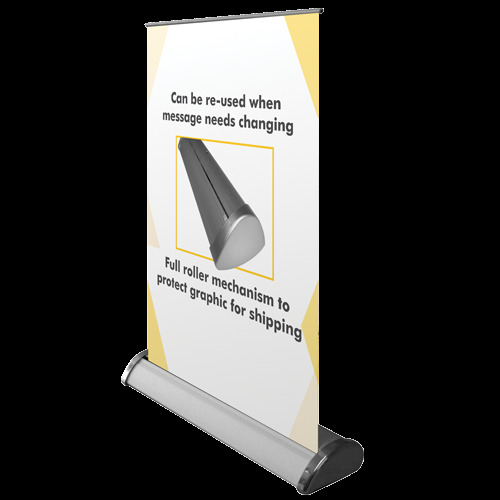 The Popular Deluxe Banner Stand is a premium quality stand mechanism and graphic that comes with a 5 year guarantee. 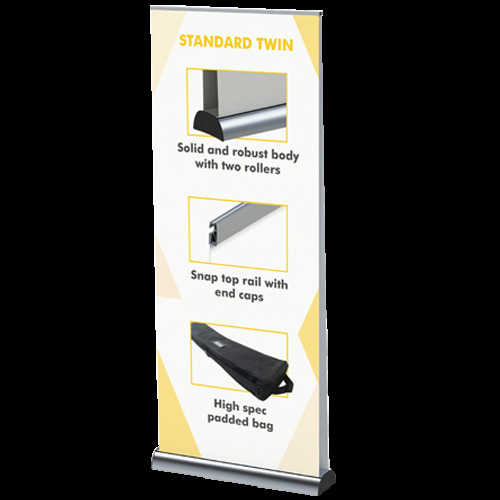 The Twin Roller Banner Stand features two graphics offering double the opportunity for impact! 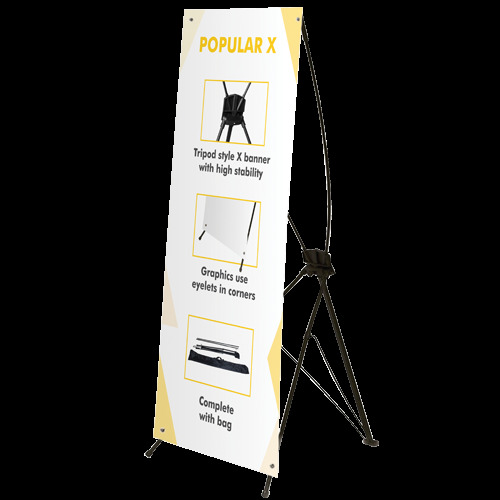 A cost-effective, lightweight, self-contained and great value banner system with a quick and easy to change graphic panel. A fully functioning mini desktop stand that can be positioned virtually anywhere giving you a novel way to advertise your business.